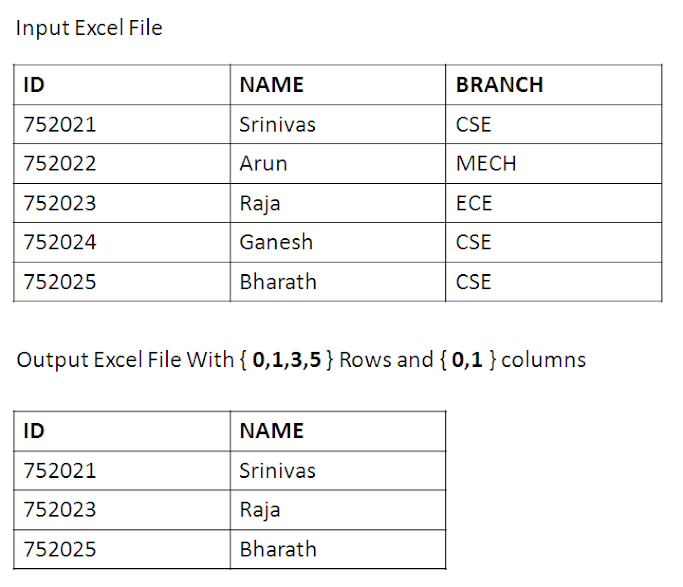 This Example is about Filtering Excel File. If you want to create a selected with Particular Rows and Columns then you can make use this program. To implement this program you need to download Apache POI library and have it in your build path (copy POI jars to lib folder). 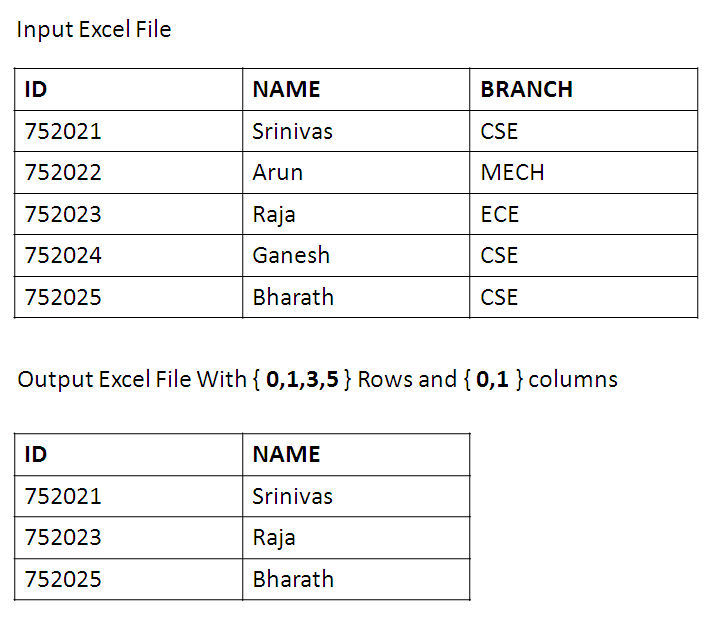 Get Rows from the input sheet with given row numbers and create new rows in new sheet. Get Columns from input rows with given column numbers and create new columns in above newly created rows. Hey Dasari. Great job with this program. How would I do the same by reading the first column, seeing if the value matches one in the array of row numbers, and printing that specific row? Thanks!